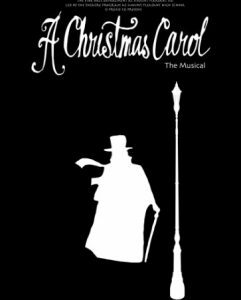 The Mount Pleasant High School Theatre Arts program, in conjunction with MPHS Choral Arts, the MPJH Dance Team, MPJH Choir, and MPJH Theatre, is proud to present A CHRISTMAS CAROL, the musical based on the famous Charles Dickens novel. This show isn’t one you want to miss, as we have multiple two-story, moving set pieces, special effects including lights, magic, and atmospheric effects, and a cast and crew of NINETY-SEVEN! Performances will be on Thursday through Saturday (Dec 13-15) at 7:00 each night. Tickets are only $2 for students, $5 for MPISD Staff and Seniors (65+), and $10 for adults. Tickets are on sale NOW at our.show/mpst/carol. Be sure to order your tickets online before the show so that you can get the seats that you want! For more information, see Mr. Sturgill, Director of Theatre Arts, at MPHS!